When installed, the line of recycled Iroko flooring provides you with an exclusive space that flawlessly blends in with your home’s unique style. Each custom milled hardwood plank enhances the gold to chocolate brown colors to create modern rooms with depth and sophistication. 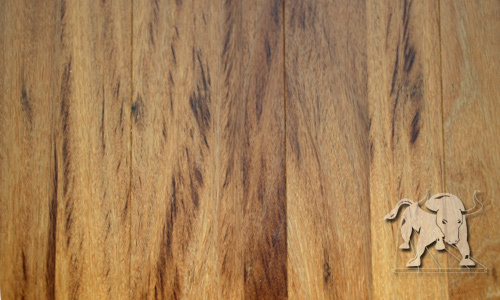 Known also as African Teak, this exotic wood creates a captivating space you’ll want to savor everyday. Receive a free quote of eco-friendly Iroko / African Teak Staybull Flooring® today. Iroko color varies from pale golden brown to dark chocolate brown. Features an interlocking grain that often produces attractive patterns in the wood.